Most people have a climber at home; they are the easiest to maintain while also turning out in beautiful designs as they grow. 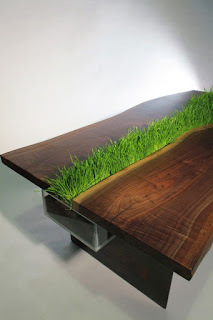 So why not try this quirky idea to one of the tables at home? Get four flower pots for the four legs of the table, and you’re good to go. 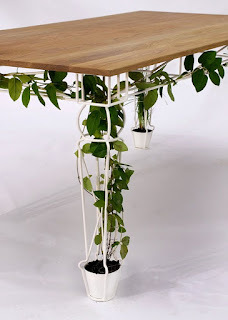 Since it’s no easy to find tables that have that kind of support for the climbers to grow, you could improvise and make your own way along the table for the climbers to grow out. An Ottoman chair, coffee table or bed is a part of our must have furniture. But don’t you think it’s boring to have the same old design with no arm rests? So what can you do to make your Ottoman look different? Fit a built in planter ofcourse! Combine the classic Ottoman with a chic in built planter, and you have yourself a trendy piece of furniture that everybody will envy! What if you really want something green at home, but you just don’t have the space for it? Or the patience to grow plants at home? Or you’re afraid that your house will get dirty? Enter the green window sill! Imagine if all your window sills had small green grass in them. 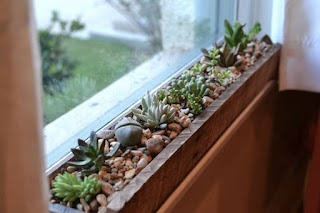 Theres no maintenance, except for the occasional trimming, and also the window sill, one of the most neglected things in a house, will look beautiful, adding an extra bit of green glow to your house! This is your usual wooden dining table, with an added décor to it. It is relatively easy to make, if you prefer making your own furniture. 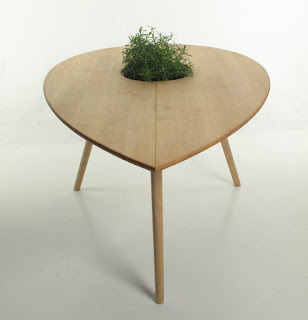 You have a well cut cuboidal hole in the middle of the table, filled with soil till about a quarter of its height. But make sure you think well about what kind of plants you’ll be growing here, since we don’t want worms and insects crawling and flying all around where we eat. Also don’t forget to keep trimming those grasses to get that perfect even height. 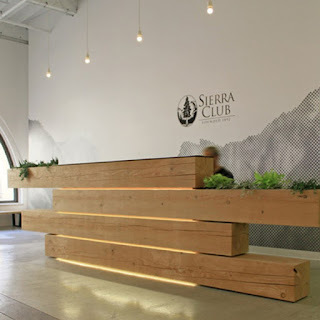 This is a cool idea for a public park or a ground; something like a community project. Since it’s a park, there are chances that there’s enough greenery all around. 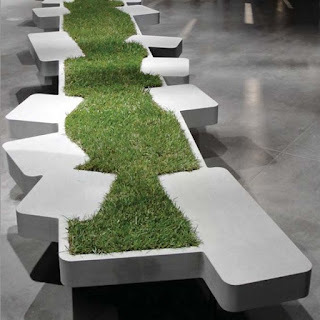 But why not toss those boring wooden benches for something unique like this bench? It’s fun to do, doesn’t require much time, and looks really good. So while you’rekids are playing on those swings and slides, you have a comfortable place with a catchy design to sit and relax. If you have a patio with furniture, or an outdoor deck, then this could be one of your design elements. Make your deck greener with planters built into your outdoor furniture. They blend in well with the environment, and also give a touch of greenery to your patio. This one is for commercial purposes. 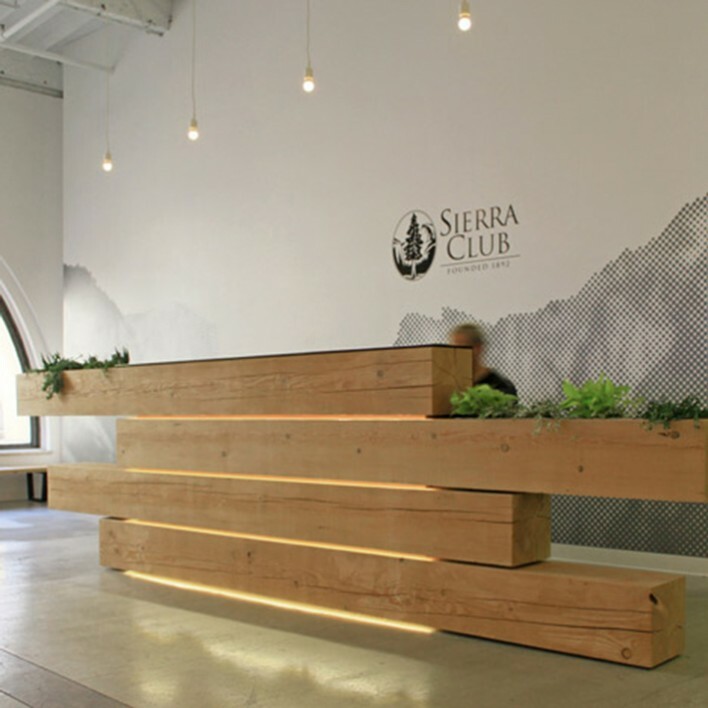 Make a trendy reception desk with a few well cut timber logs. And then carve a hole along its length for the planter. Although you could be creative and use this idea to make benches using timber logs and carve a part of one of the ends for a planter. 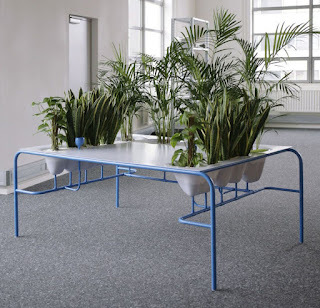 This may look an an ordinary table with a planter. But what’s special about this is that it doubles as a cooler for drinks! A great idea to keep your drinks cool for those outdoor parties that you throw! You can make a box for the planter in the table, that can be removed whenever you need it as a drink cooler. 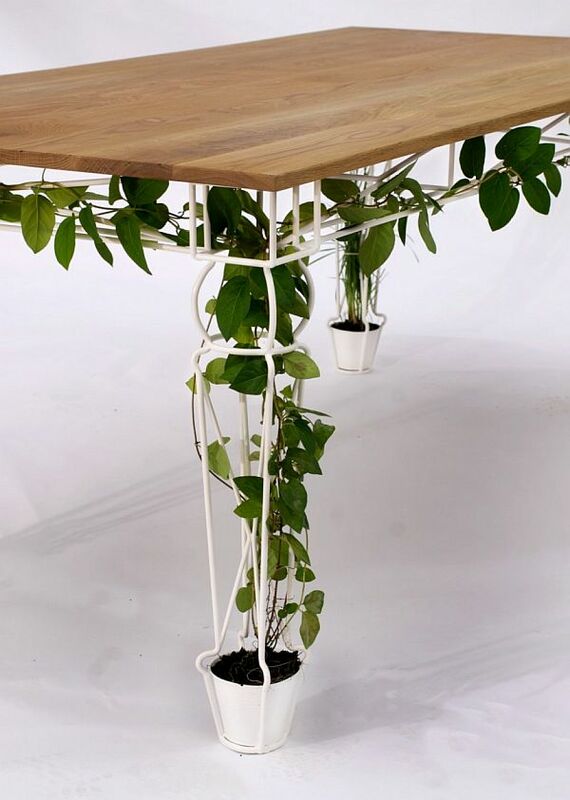 And at other times, you can fix your planter in the table. Here’s another reason to invite friends over for coffee. Be the trend setter with this unique coffee table with a built in planter. This desk with built in planters will not only make your desk stand out from the numerous desks in the office, but also help you stay in a pleasant mood for the whole day, despite your hectic work schedule. Besides, the plants offer good privacy too! With the environmental degradation happening today, we fear that tomorrow we may not be able to sleep in peace. But worry not, the future seems more than bright! This futuristic eco friendly bed comes not only with space for plants to grown, but also LED lights for their growth. Another cool perk is that the bed also has built in speakers for a sound sleep. 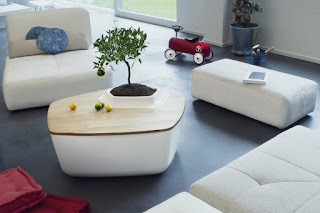 This unique seed shaped coffee table does sprout seeds! 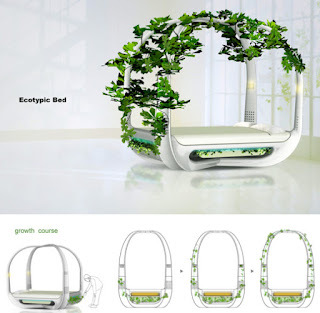 Apart from being a house for plants to grow, it also adds a touch of beauty to your interior decoration. If you’re worried about having those tables and chairs double as planters, because they can fall prey to the hands of your kids and wreak havoc, then make an in built planter for your shoe rack! It’s innovative, since people don’t usually bother to decorate their shoe racks, and also, most kids just throw their shoes around, so you don’t have to worry about kids ever going near the shoe rack to pluck those grasses! So, here you go, 13 ways you could make your house and your planet greener. 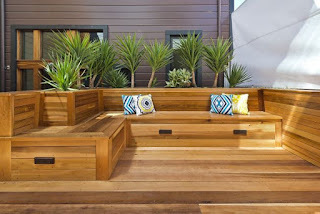 From a design aspect, these built-in planters look amazing, saves a lot of space, is economical and less time consuming as compared to having a garden to maintain. 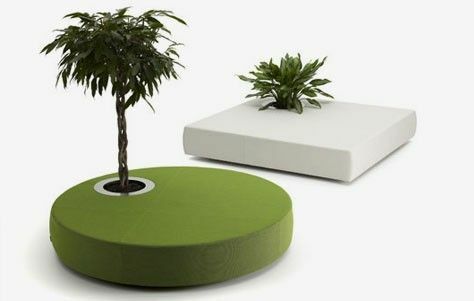 Besides, the presence of plants gives you fresher air to breathe and a better surrounding to live in. 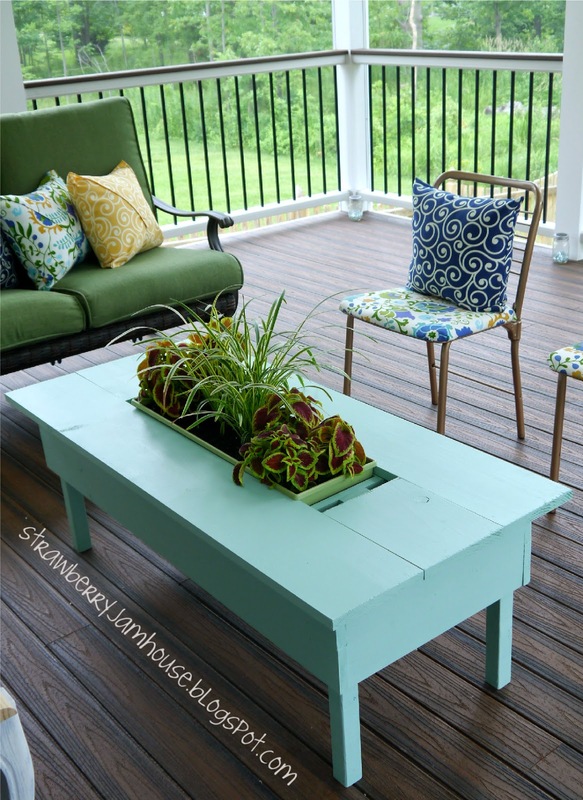 The next time you build or buy furniture, keep these amazing tips in mind!